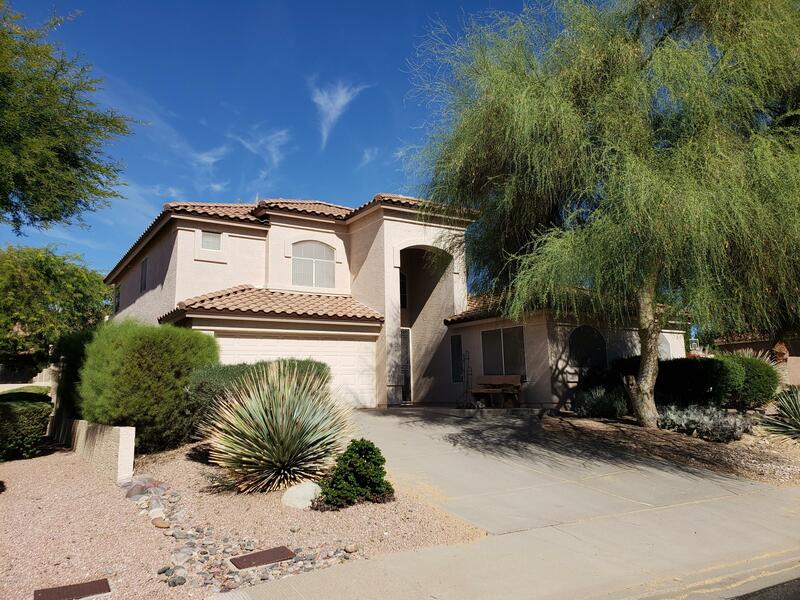 All Olympic Estates homes currently listed for sale in Mesa as of 04/19/2019 are shown below. You can change the search criteria at any time by pressing the 'Change Search' button below. "Large lot. Beautifully maintained 2 storey, 5 bd, 3.5 bath, Home includes private Guest suite, Fam. rm. off eat-in kit., formal dining, Mst. bed with balcony. Two car garage. Upgrades: tile roof,pool pump & decking, irrigation system, Bosh air conditioner, mstr. shower, kit. counters and tiling. Interior freshly painted in Jan/19. Palms, flowering plants and citrus trees add to the beauty of this home. Agents: READ PRIVATE REMARKS!!!"